This unique and NEW program is addicting and will burn even the most stubborn belly fat. For the first time, you can combine the power of interval training and metabolic finishers to chisel and transform your body faster than EVER. Sure, this unorthodox method of combining these two transforming methods is not normal, but neither is relying on long, boring cardio to get rid of your ugly belly fat. It takes hard work to burn off pesky, stubborn fat, and you’ll love that it can only take minutes compared to dreadful cardio. Nancy Lost 32 Pounds and 24 Inches! P.S. There is NO RISK at all for you to try this Metabolic Finisher program. 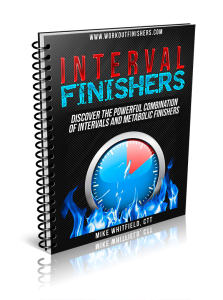 If you are not thrilled with Interval Finishers in 60 days, let us know and we’ll refund every penny. Your satisfaction is 100% guaranteed. 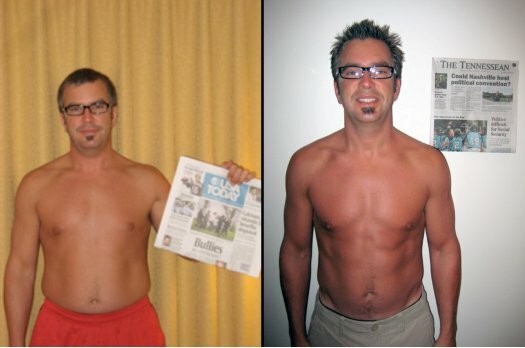 My workout programs have already been seen on Men’s Health, Turbulence Training and used by thousands of men and women, and I guarantee it will work for you, too.